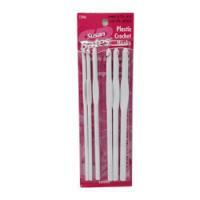 Coats & Clark Crochet Hook Set includes a complete range of 6 sizes for light, medium or heavy weight yarns. 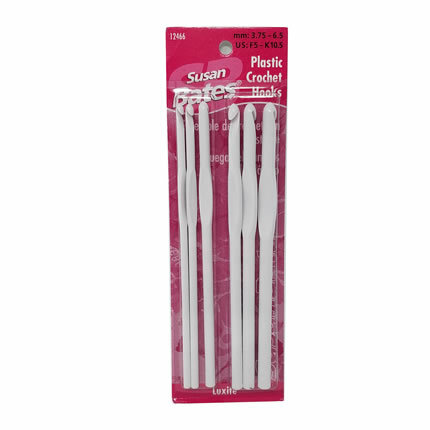 Assortment contains crochet hook of sizes F-5, G-6, H-8, I-9, J-10 and K-10-1/2. 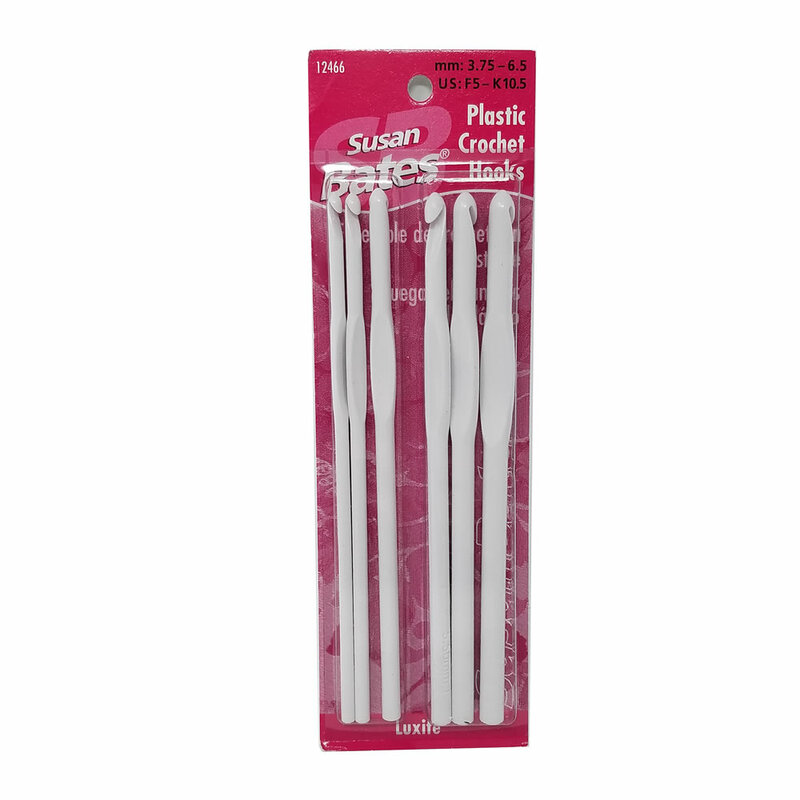 Hook made of luxite plastic is designed for a range of uses and yarn weights.